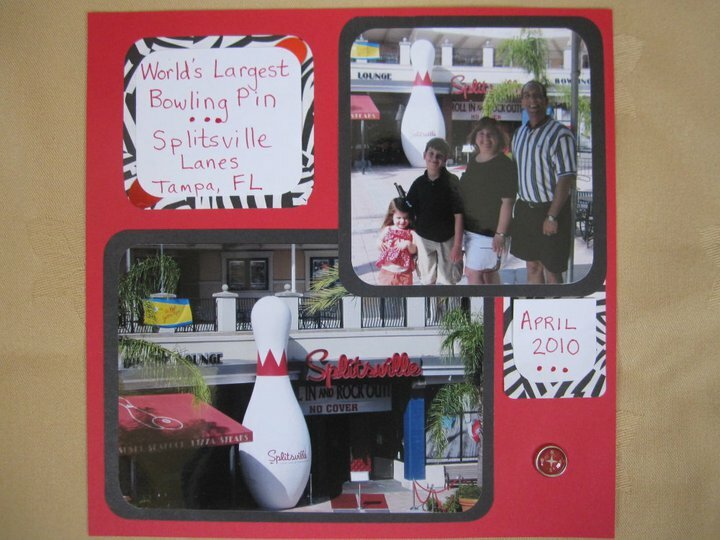 Photo Friday / Scrapbooking, “Go BIG” style! Okay, so my dirty little confession is…I scrapbook. (Sorry if you were hoping for something more sordid.) I’m not rabid or anything, and I could stop any time I wanted to. I don’t have a problem. It’s a creative outlet, and a social thing, since I only “scrap” with a bunch of girlfriends, surrounded by snacks. My enablers. 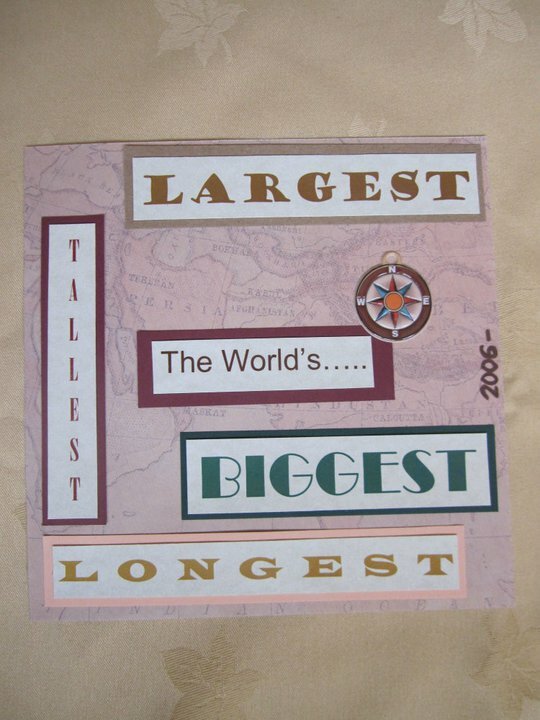 My favorite ongoing project is the 8×8 scrapbook dedicated to the world’s largest, longest, tallest sites we’ve visited. I started it before I started this blog. I think it was partly the inspiration for Go BIG or Go Home. For Show and Tell today, I wanted to share a few of my bestest pages. 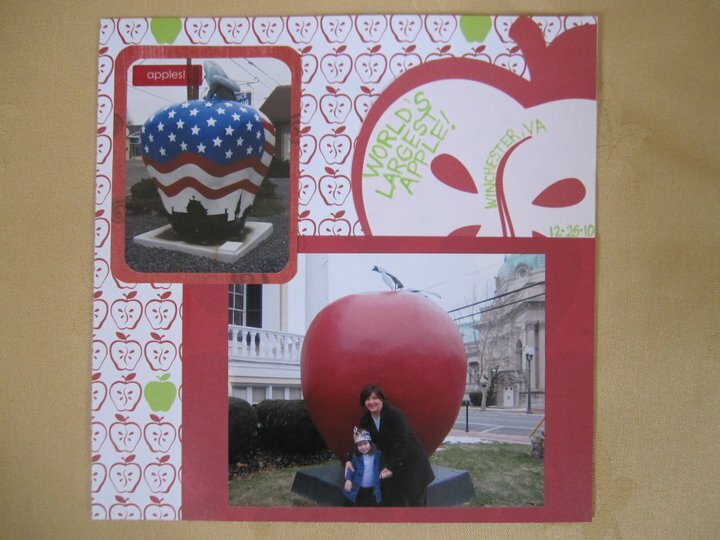 Do you have great scrapbook pages from your travels posted online? 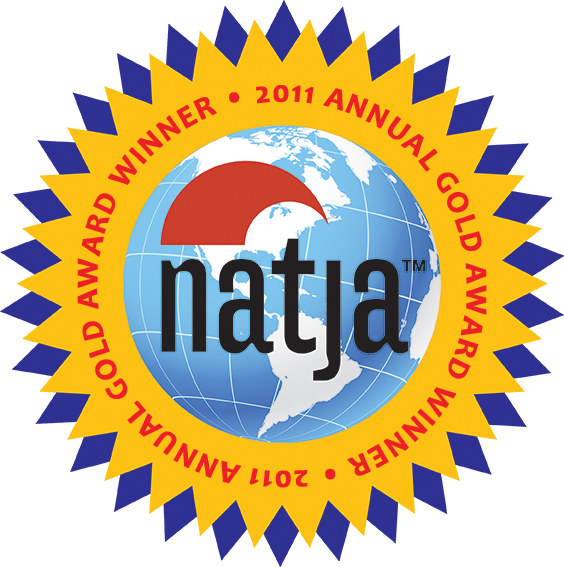 Feel free to link to them below so we can take a look! We just saw this apple in Winchester, VA on our road trip to FL. I got a strange thrill upon realizing that I had a Creative Memories autumn-themed pack with apple paper! I don’t always use “real” scrapbook supplies. I save any interesting scraps of paper for layouts. On this page from our trip to Tampa, I use a zebra print paper that I saved from … get this … a box of Madagasgar-themed valentine cards! I’m also a sucker for travel-themed embellishments, and have spent more than I care to admit on products like the fun compass brad in the lower right corner. If anyone has any extra 40% coupons for A.C. Moore, please send them my way.